Footrest 64305 designed specifically for the Poseidon and Proteus seat pedestals. Polished stainless steel. 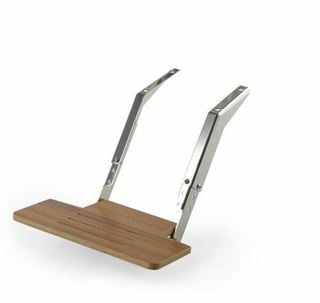 Wooden flip-up footrest. Footplate adjustable in height with standard tools. 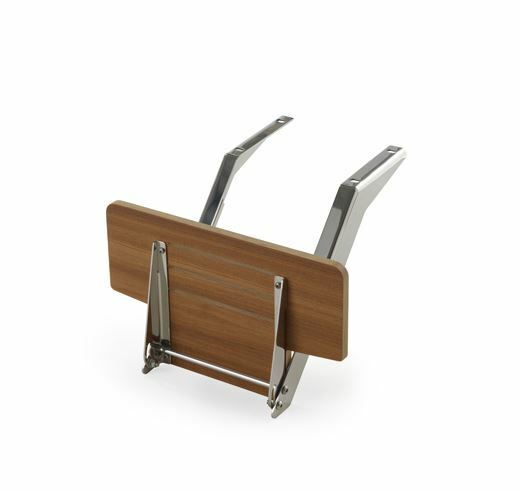 Poseidon/Proteus footrest, S/S 316 polished frame, adjustable, flip-up, teak print.